Bivens, R. (2017). FPA Roundtable : Speaking Notes. 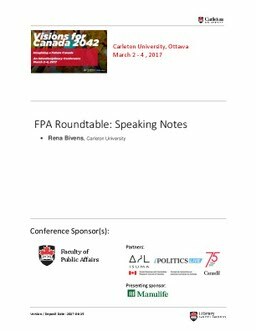 Presented at the Visions for Canada 2042: Imagining a Future Canada, Faculty of Public Affairs.